A portable storage module is designed to help homeowners and even business owners to conveniently move their belongings from one place to another. They have grown to become useful in a variety of ways. In fact, people have come up with a number of creative uses of the portable storage unit. And as a result, has made their lives and businesses easier. So, without any more chitchats. 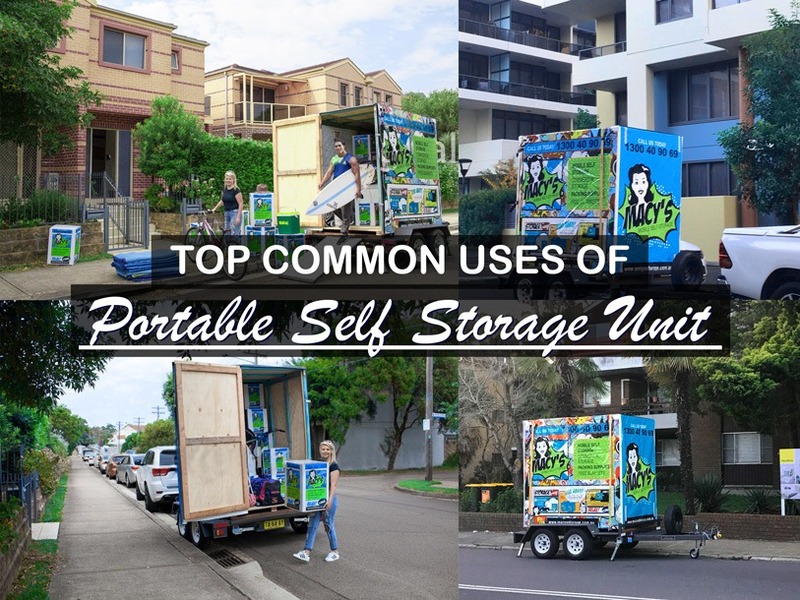 It’s now time to give you an idea of the different uses of portable storage unit that might have never crossed your mind before. Heavy duty operation such as construction needs heaps of equipment. And this is not your typical toolbox compatible equipment. More often, they are huge equipment that needs to be housed rather than being stuffed inside toolboxes. Even some tools need means of sorting. Otherwise, they will simply get in the way when not in use. So, what people had been doing today is keeping them stored when not in use. Hence, one of the real handy uses of portable storage unit. It took the nightmare of organising tools and equipment from construction companies. Whether you’re renovating your kitchen or adding stuff in your home, you need a place to store your stuff in the meantime. So, that you can tidy things up a batch at a time. And a movable storing cube can provide all the storing needs for your renovation project. Yes, using a modular self storage unit is perfect for storing large furniture that needs to be moved out during the renovation. Furthermore, they also provide a safe place to store any materials. Transferable containers provide safe and secure self storage unit for all of your stuff during home renovation and even for your office relocations. Movable cubes are not only for self-use. They are also for bulky items. From their files and paper works up to retails supplies and fixtures, they use storing units to free up their space. Likewise, cube containers are a smart solution for storing any business-related materials. You might haven’t thought of this, but you read it right. Recreational events like festivals, fun-runs and campaigners are a logistical nightmare for many organisations. There are many supplies, equipment, and materials needed to make events successful. So for some reason, having not enough space to store these items is a big headache. However, with a transferable storing unit, it’s the ideal way for storing various items for recreational events. Both parents and students’ experience anxiety at the end of the year moving. Having to pack up all your belongings like books, clothes and other dorm room accessories can be a hassle task. Not to mention the fact that most parents aren’t excited about stacking their garage with all their child’s dorm room essentials. But with a movable container unit, your belongings can be packed away right on the campus. You can store it conveniently for safe keeping. You can even schedule a convenient way of delivering it back to school as the classes resume. Yes, it’s more convenient than taking all your stuff by yourself. The convenience of having a module delivered to your door is amazing. And can dramatically change the way you move and store things. Likewise, multiple uses of portable storage unit will make it more convenient for you. Aforementioned uses of portable storage unit show the value of a movable storing means than using the traditional storing boxes. Yes, it indeed takes your stress away and at the same time saves your money and time! For homeowners or even business owners, it is more practical and convenient to use movable module than the traditional storage solution. Want to know more about portable stacking unit? We can give you more insights and tips. Our years of experience in our niche made us the expert that you need. And if you are looking for more options, read our related article How to Find the Best Portable Storage Option for Packing and Moving. Get ideas and learn from the experts. This entry was posted in Packing and tagged cheap storage, Long Term Storage Sydney, Macy's Mobile Self Storage, Portable Self Storage Sydney, removalist sydney, self storage, self storage sydney, short term storage sydney, Storage, storage module, storage sydney.